Initially, it shocked the automotive world when Porsche, for the first time in its history, brought out an SUV with the Cayenne in 2003. Even with a crowded and highly competitive midsize crossover segment, the Cayenne has managed to become one of the best luxury-branded ones over the course of two production cycles. That’s because Porsche has paid attention to crafting a vehicle that is sharp and precise on the road, possesses a high-quality cabin, and is powered by potent engines. And with the 2019 model year, Porsche intends to continue applying the winning formula by commencing the Cayenne’s third generation of production. This time, the nameplate has a top-level model referred to as the Cayenne Turbo. The “Turbo” designation comes from the model’s twin-turbocharged 4.0-liter V8, which produces 550 horsepower and 567 lb-ft of torque. The engine is mounted lower in the vehicle to reduce the center of gravity and improve handling ability, and it winds out to twin tailpipes. The engine is tied to an 8-speed automatic transmission for supplying power to all the wheels and maximizing traction on road surfaces made slippery by rain, snow, or ice. Going from 0 to 60 mph only takes 3.9 seconds with this drivetrain. If you add the Sport Chrono Package—which includes a button to press to produce a tighter, livelier driving experience—the 0-to-60 mph time is improved to 3.7 seconds. Top speed is measured at 177 mph, which is outstanding for an SUV. Outwardly, the Cayenne Turbo includes LED headlights—part of a Porsche Dynamic Light System that ensures that not only ensures that your vehicle is conspicuous, but also that it will never be confused for lesser variants of the nameplate. Indeed, the Turbo distinguishes itself with double-row front light modules. Inside, the vehicle presents the Porsche Advanced Cockpit, which includes a high-resolution dashboard-based 12.3-inch screen and two 7-inch full-HD screens flanking an analog tachometer for displaying virtually all vehicular or functional information. For prime entertainment, there’s the 710-watt BOSE® Surround Sound System. And 18-way sport seats, seatbacks with integrated headrests, and row and steering-wheel heating capability maximize comfort in the vehicle, especially when on longer trips. True to its high-performance orientation, the 2019 Cayenne Turbo comes with Porsche Surface Coated Brakes, which are optional on the lower-level trims. Consisting of cast-iron discs that are dipped in tungsten carbide, Porsche Surface Coated Brakes are optimized for quicker response, shorter stopping distances, reduced brake dust, and improved resistance to wear and tear. 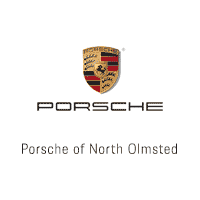 To take the 2019 Porsche Cayenne Turbo for a spin or two, visit our dealership at North Olmsted, Ohio today so can be first on the list to drive the vehicle when it arrives. We have formed a reputation for being highly professional and considerate with our customers. Give us a call today to set up an appointment with one of our Porsche specialists. * EPA estimated MPG may vary by transmission, trim and individual driving behavior.